William Russell Russia Health Insurance. 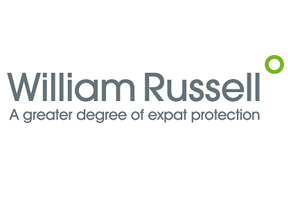 William Russell, with its headquarters in United Kingdom, was established in the early 1990's. Since the company’s inception it has been offering comprehensive medical insurance plans and is well known for its innovative and highly praised health insurance products. William Russell has received AA- rating by Standard and Poor's and is perceived to be highly financially stable company. Its health insurance plans are underwritten by Allianz, enabling security and piece of mind that a company of its size and stature can provide. Thus when you are purchasing your William Russell medical and health insurance in Russia you can be assured of the safety and protection you will receive. Apart from Russia health insurance policies, William Russell provides life and income insurance plans that are highly regarded internationally. If you would like to get more information about William Russell please fill in the query form at the top of this page. Alternatively you may contact us in order to seek expert advice directly from our knowledgeable Russia Health Insurance consultants.